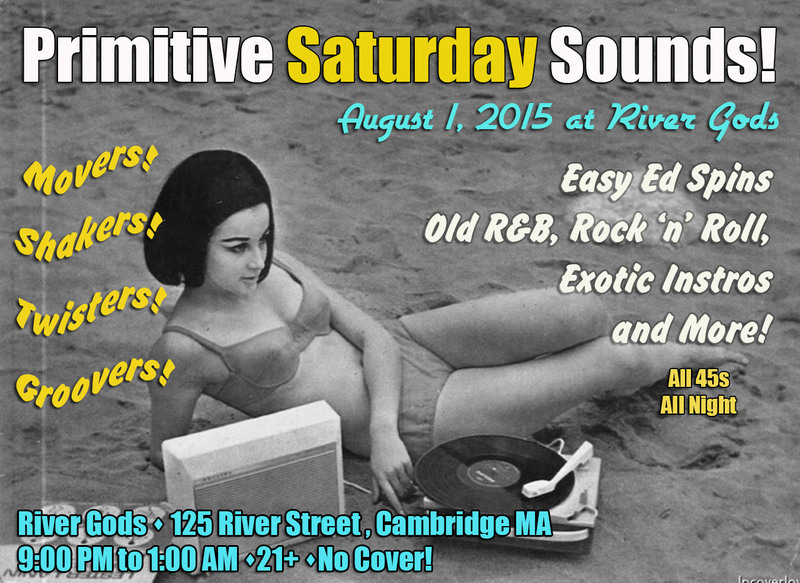 August 1, 2015: Primitive SATURDAY Sounds with DJ Easy Ed! Primitive Sounds--on a Saturday night! We know that many of you can't make our regular Wednesday events. 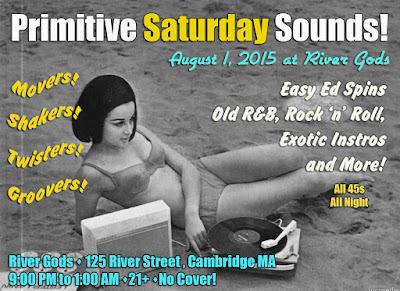 Here's a rare chance to catch Primitive Sounds on a Saturday--August 1, at River Gods in Cambridge, MA. 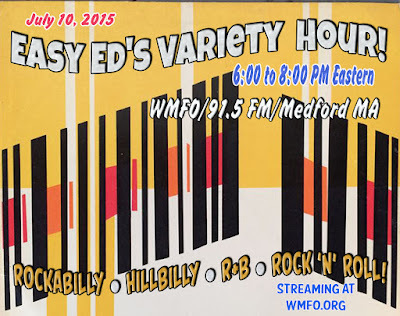 Easy Ed spins solo this time out, 9:00 to 1:00. 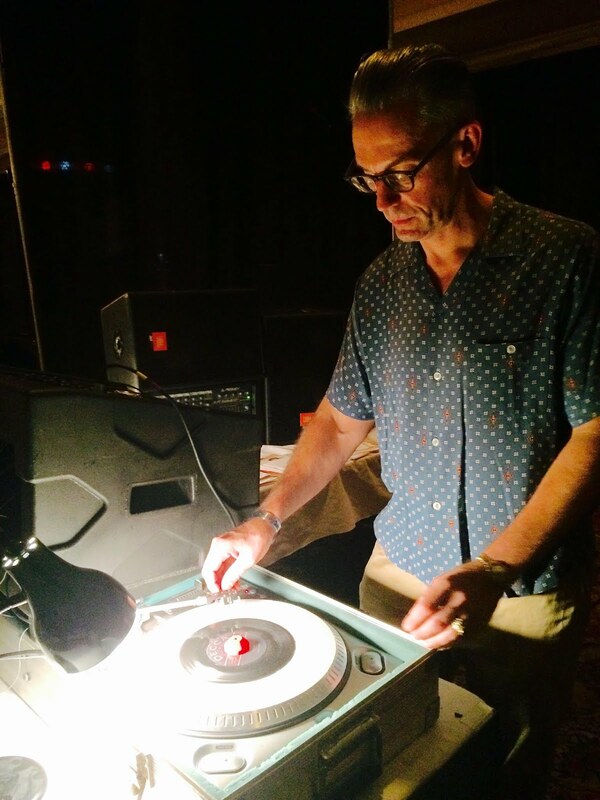 Rockabilly, rock ‘n’ roll, old R&B, movers, groovers, and shakers. All 45s, all night. No cover, 21+. 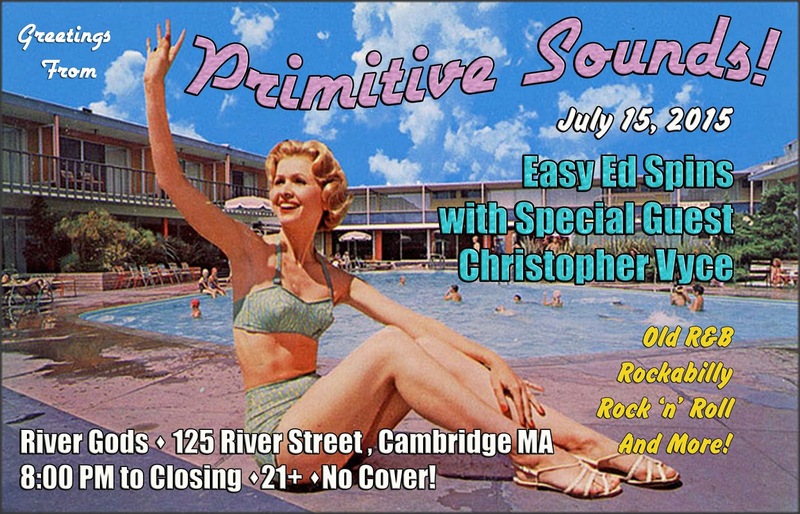 Primitive Sounds is a regular roots music DJ night hosted by DJ Easy Ed and P.J. 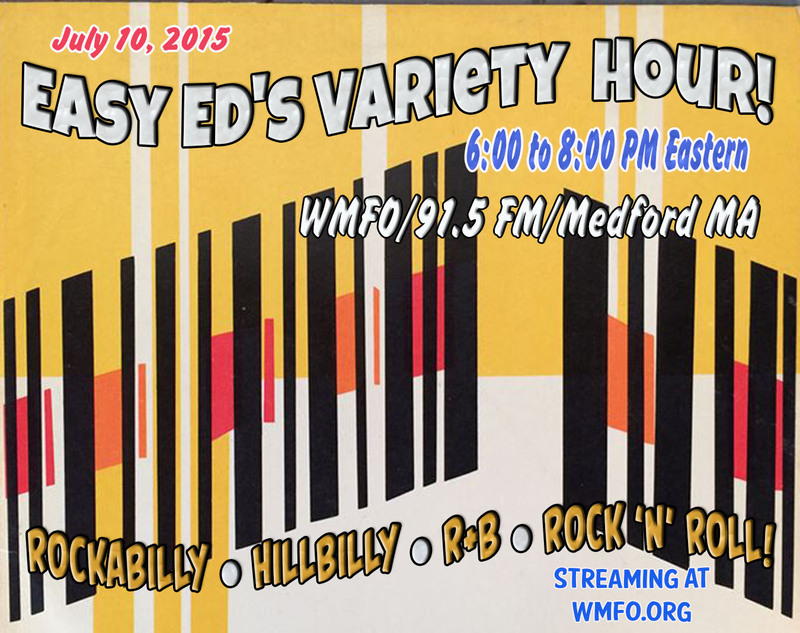 Eastman: Rockabilly, ‘50s and ‘60s rock ‘n’ roll, old R&B and soul, exotic instros, and more! 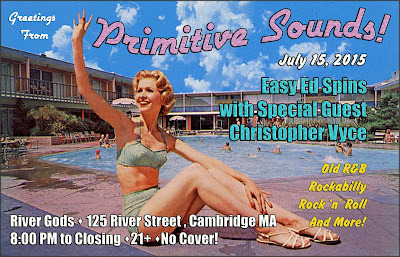 I'll be spinning records at River Gods in Cambridge, MA, tomorrow night for Primitive Sounds, our regular roots-music record hop. My guest will be WMBR's Christopher Vyce. Hope to see you there! River Gods is friendly nightspot with excellent food and drinks. The records spin from 8:00 until closing.